For dinner tonight, a friend came over to catch up on girltime. I prepared a quick dinner that was light, flavorful and used what I had on hand, since the hubby to the car to work today. (And it was a perfect chance to cook beef for myself since my hubby doesn’t eat beef!) With that said, here’s what I came up with and was pleasantly surprised what a little creativity can do! – In a skillet over medium high heat, add the cooking oil, onions and garlic; saute until softened. – Add the beef and seasonings and cook until browned. – Meanwhile, place your gyro pitas on a parchment lined baking sheet and bake in the preheated oven for 5 minutes to soften the pitas. Remove the pitas from the oven and set aside. 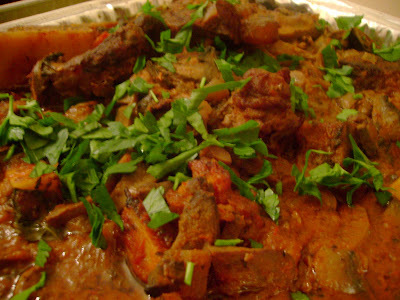 – When the beef has cooked thoroughly, carefully spoon the beef over the warmed pitas to cover completely. – Top the beef with the shredded cheese and bake in the oven for 5-10 minutes until cheese has melted. – While the pitas are baking, prepare the cilantro cream by combining the cilantro, sour cream and water. Season with salt & pepper to taste. – When the pitas are done baking, remove from the oven and top with the cilantro cream and chopped tomatoes; serve. In a large skillet, brown chorizo and ground beef. Add remaining ingredients and cook through until onions have softened. Place in bowl and allow to cool. 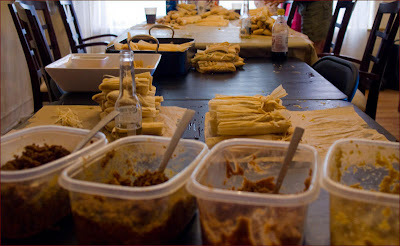 Cover and chill until ready to fill tamales. In a hot skillet or wok, heat oil. Add garlic and onions & stir. Add leftover meats of your choice, chopped up in bite sized pieces. Stir fry meats until you get them a bit crispy. Push the meats aside and crack eggs into the pan. Scramble the eggs into the pan until cooked. Add cold rice over the eggs & meat into the pan, making sure to crumble it in your fingers. (Dumping a large chunk of rice is not going to work here. You need to crumble it so it separates nicely). Add salt, pepper, onion & garlic powders and soy sauce; toss. Allow the rice to heat up and absorb the spices and soy sauce, tossing to help it along. Add the fresh or frozen veggies and toss into the rice. Continue cooking it all on high heat until rice is heated through and veggies are cooked. I used leftover grilled chicken and some frozen veggies for lunch and served this with some homemade eggrolls – which I’ll be dedicating a whole post to in a couple of week. I’m teaching an eggroll class so I’ll save the details and recipes on making eggrolls then! To prep rice sticks, boil water in a dutch oven. Once water has come to a boil, turn off heat and place dried rice sticks into the water. Let it sit for 5-7 minutes until it softens. Drain & set aside. In a large wok, heat oil. When hot, add onions & garlic. Once onions have softened, add meat (chicken, pork or beef) and saute for 3-5 minutes. After 3-5 minutes, add soy sauces and sugar. Stir and reduce until sauce is slightly thick, about 5-7 minutes. Add broccoli & toss to heat through. When broccoli is heated through, add drained rice stick and toss gently. To serve, place noodles on platter and garnish with fresh bean sprouts, crushed peanuts and/or sliced green onions. This recipe was made for my 2007 Holiday Party featuring an Italian inspired menu. You can read about it and view the additional recipes I made for this event HERE. Season shanks with salt, pepper, garlic & onion powder. In a dutch oven, add olive oil to hot pan to coat bottom. Brown shanks in oil on both sides. When browned, add wine to pan to deglaze. 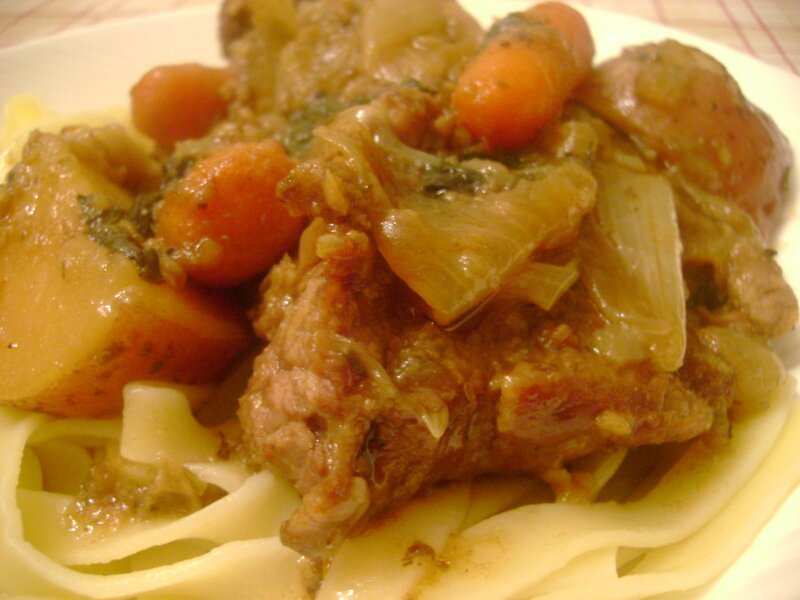 Cover and bake in preheated oven for 1.5-2 hours, until beef shanks are tender. 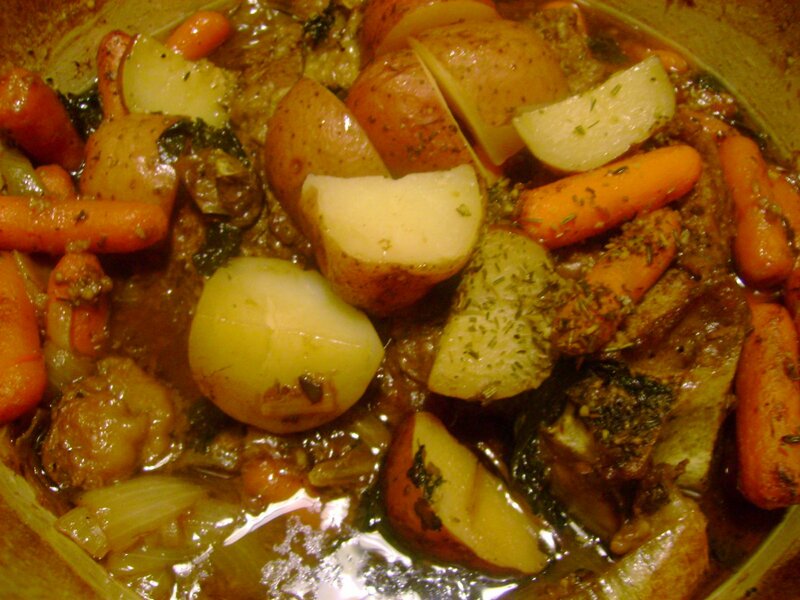 Clean out the fridge… It’s time for Pot Roast! Season roast with salt, pepper, garlic & onion powder. Brown roast in oil on both sides. When browned, add beef broth to pan to deglaze. Cover and bake in preheated oven for 1.5-2 hours, until beef is tender.